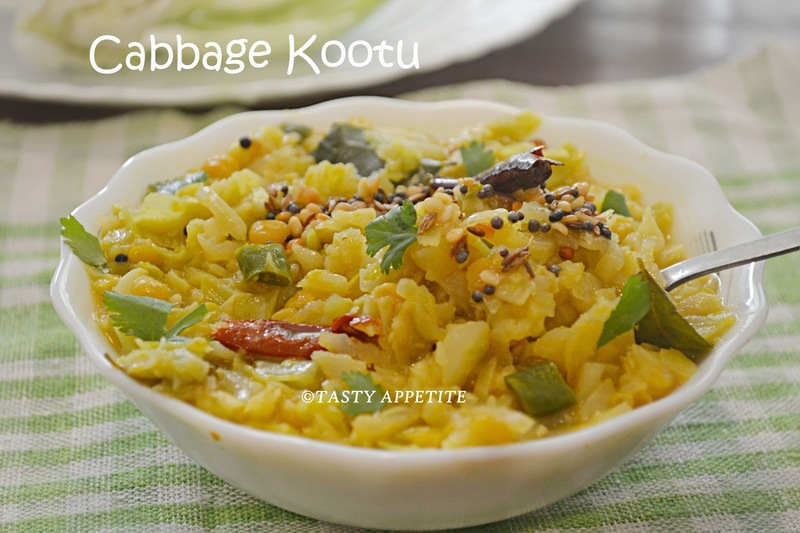 Today’s post is going to be a very healthy and vegan side dish recipe, Cabbage Kootu..!! 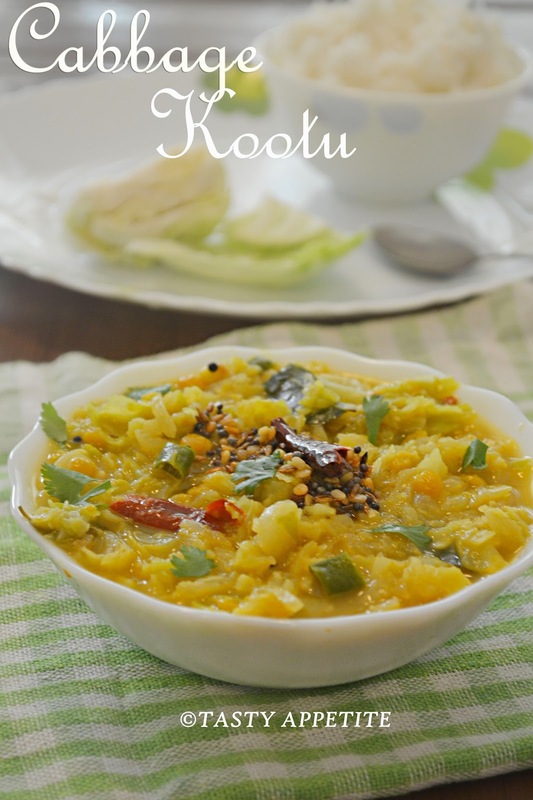 favorite, also its very simple to prepare and tastes yummy with sambar, rasam or any spicy curry. 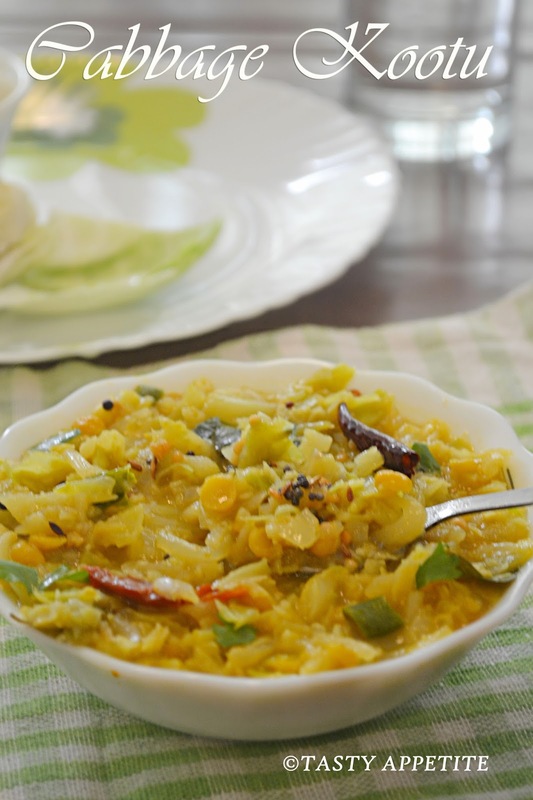 Bring a dash of excitement to your usual meal with this nutritious recipe..! 1. Wash and soak chana dal in water for 5 mins. 3. Retain the cooked dal water to add to kootu later. 4. Wash the grate the cabbage to fine shreds. 5. Heat oil in a frypan. 6. Now add sliced onions,curry leaves and fry till they are transculent. 7. 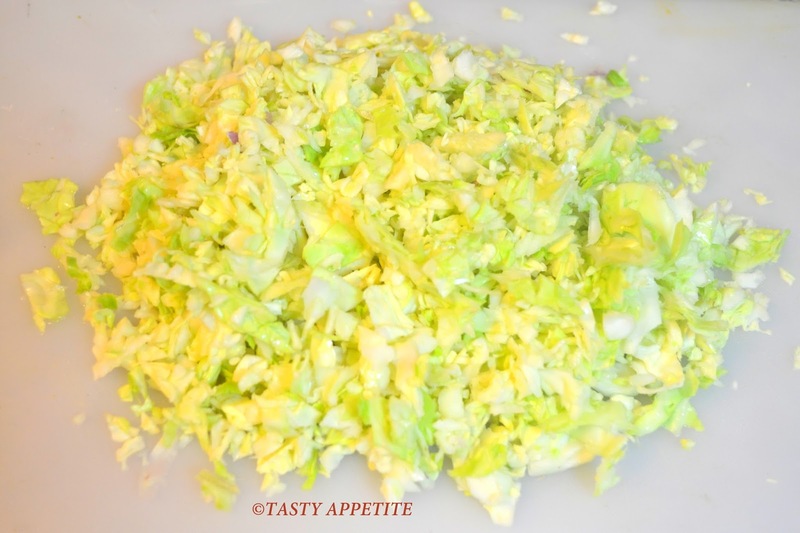 Add the shredded cabbage, little salt and stir well. 8. Add turmeric pwd, red chilly pwd, coriander pwd and cumin pwd. 9. Sprinkle few tsps of water and cook covered in low flame. 10. Add the cooked chana dal along with water and mix well. 12. 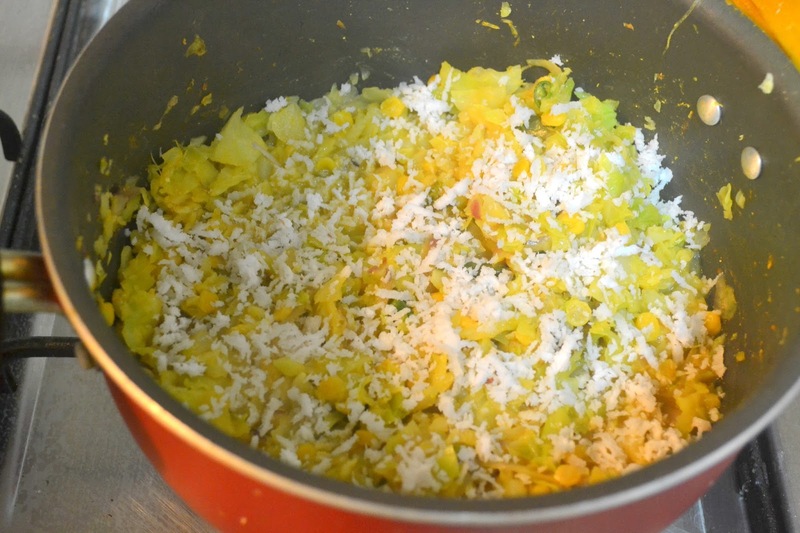 Add coconut shreds and saute. 13. Heat 1 tsp of oil in a small pan. 14. Add mustard seeds, when they crack, add cumin, split urad dal, curry leaves, red chilly and hing. 15. Saute for less than a minute. 16. Add the seasonings to the kootu and combine. 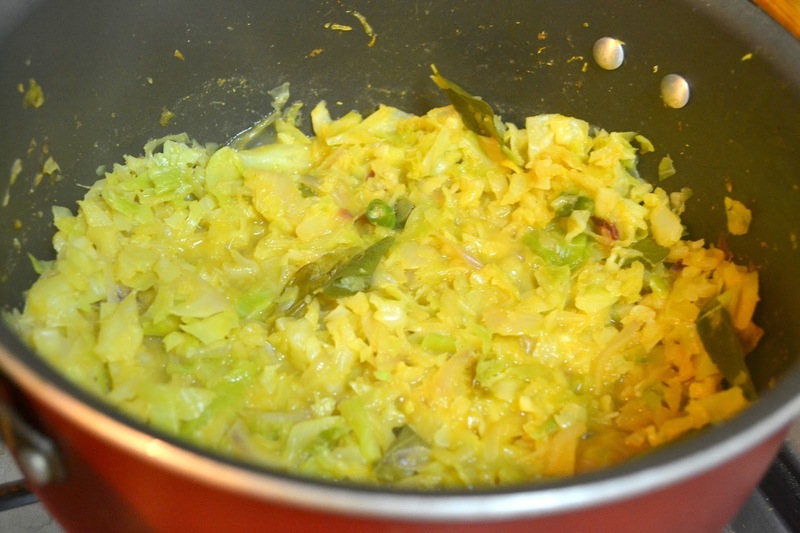 Healthy Cabbage / Gosu Kootu is ready..! 17. Garnish with fresh cilantro and serve it warm. 18. 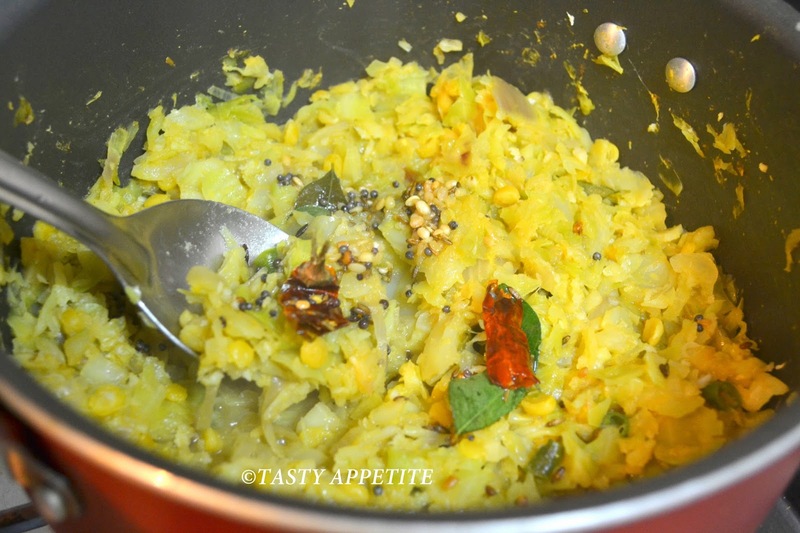 It makes a yummy combo as a side with vathalkuzhambu or any spicy curry. Healthy kootu & lovely clicks!! yumm, does kootu mean vegetable curries or curries with coconut in it? Love this kootu anytime, one of my fav. 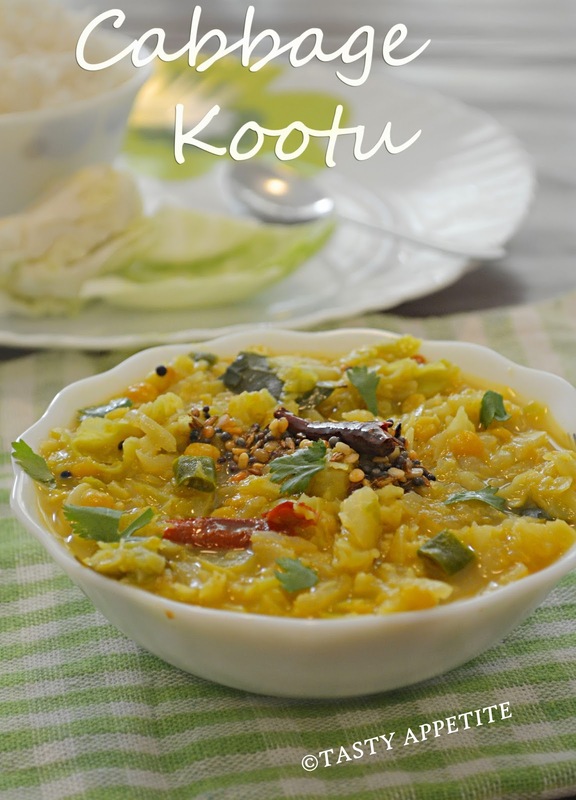 healthy and tasty kootu. Love to have it with rice. 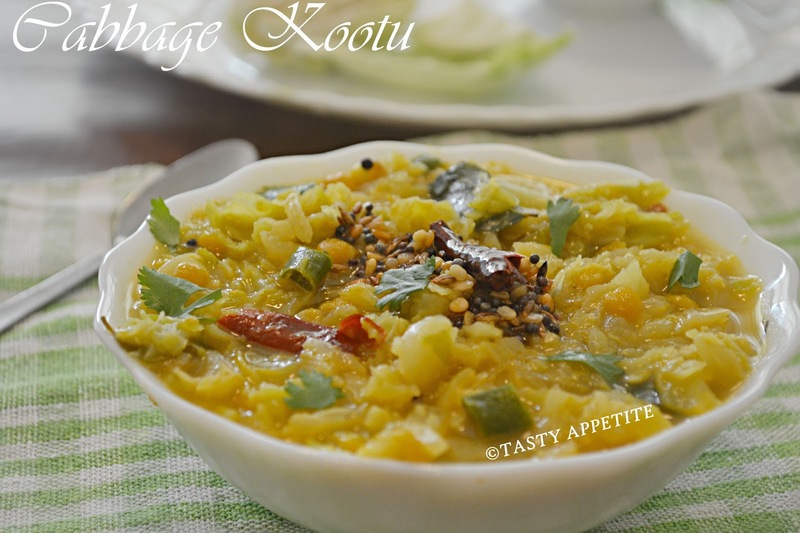 delicious lip smacking kootu which I too make often. 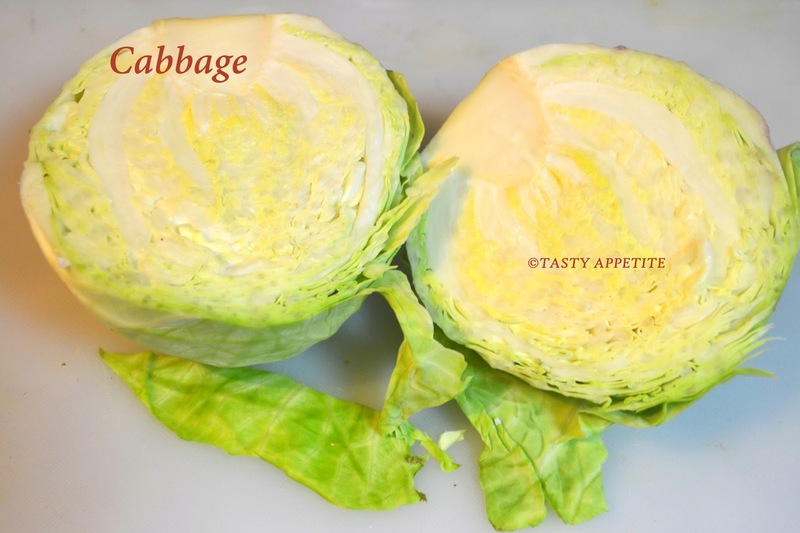 Jay, I made it yesterday...divine taste - liked even by my boys, who are not fans of cabbage.